I wrote before about Inference, a weird "journal" that bills itself as an "International Review of Science", but has published some very questionable pieces by some very questionable people. Back when they were hiding their editorial board, I deduced that David Berlinski was involved with it somehow, and my deduction was later proved correct. Now a real investigative journalist has taken the job of looking further into this bizarre venture. 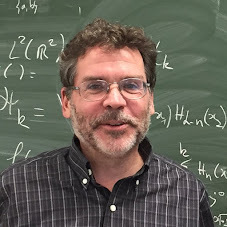 It's physicist Adam Becker, and he's published his exposé in Undark. Turns out that lots of people, when they find out the kind of stuff that Inference publishes, decide not to get involved with them, despite the large amounts they're paying for pieces. And it also turns out that Peter Thiel is one of the big funders. You know, the same Peter Thiel who has donated to far-right politicians like Ted Cruz, Rand Paul, and Dana Rohrabacher. I wonder if Becker's piece will convince legit academics, such as Andrew Yao, that they don't want to have anything to do with Inference. Canada and Norway are engaged in a Moose War. I have to say, Norway is definitely winning. Their moose makes ours look pitiful by comparison.